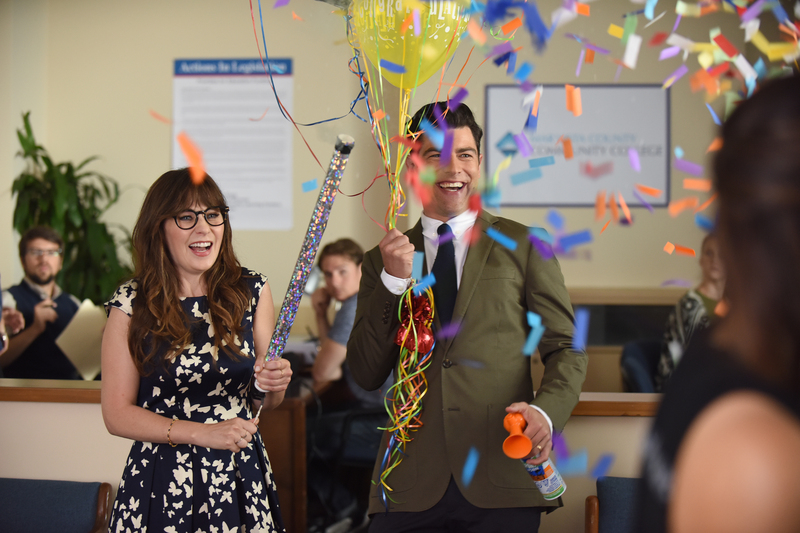 We can all stop wishing on every shooting star we see and holding our breath: New Girl has been renewed for Season 7. So while we’ve got a taste of their happy ending, there’s still so much more we want to see from this Loft crew, namely, Schmidt as a DAD. Cece is pregnant, and we’re willing to hand over all the money in the world watching everyone try and deal with a baby in-between games of True America. It’s no longer something we just hope to see, we’re actually going to see it. Sunday afternoon, Fox handed down a renewal for Season 7, and we couldn’t be happier. There’s just one hitch: This will be the last season of New Girl. The series is set to end with the conclusion of Season 7, and according to The Hollywood Reporter, it’s expected that it will be a shorter run. But let’s no look a gift Loft in the mouth, NEW GIRL IS COMING BACK!